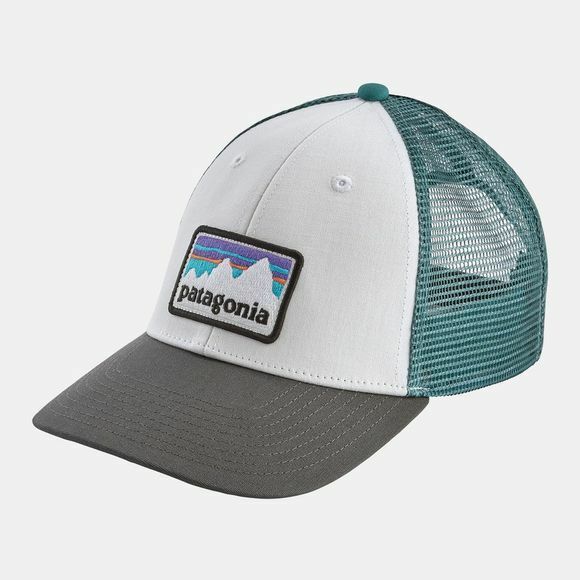 The Mens Shop Sticker Patch Lo Pro Trucker Hat from Patagonia is inspired by vintage stickers once used by purveyors of gear for the great outdoors. The hat features a traditional, structured-front ball-cap fit in a trucker setup: organic cotton bill and crown and polyester mesh back for increased ventilation. The six-panel design with front stitching, lower front-crown profile and pliable, precurved bill provides all-day comfort. Snaps in back make sure you’re well-adjusted. Patagonia original art is inspired by vintage Patagonia stickers.